Published on August 14, 2018 in Dixie Contractor, Featured Article and National. Closed Tags: Acrow Bridge, bridges, construction, construction industry, contractors, equipment, highways, infrastructure, Interstate Highway System, pavement, roads, safety, Temporary Bridge, transportation. 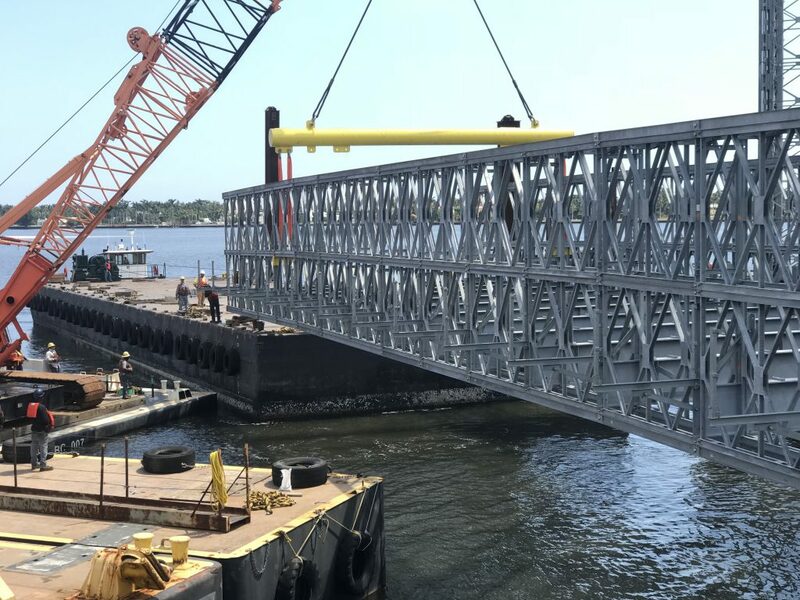 Acrow Bridge, a leading international bridge engineering, and supply company provided a temporary lift bridge over the Intracoastal Waterway and Lake Worth Lagoon that helped avoid serious disruption to both road and water traffic there. The temporary bridge on Southern Boulevard connects the Town of Palm Beach at the Mar a Lago Club and the City of West Palm Beach. It is expected to be in place until completion of the project, now estimated for early winter 2020. When structural problems were found with the existing bascule bridge, it was determined that a new structure was needed, including a temporary lift span during the lengthy construction to accommodate heavy vehicle traffic on the roadway as well as commercial and recreational vessel travel in the waterway below. 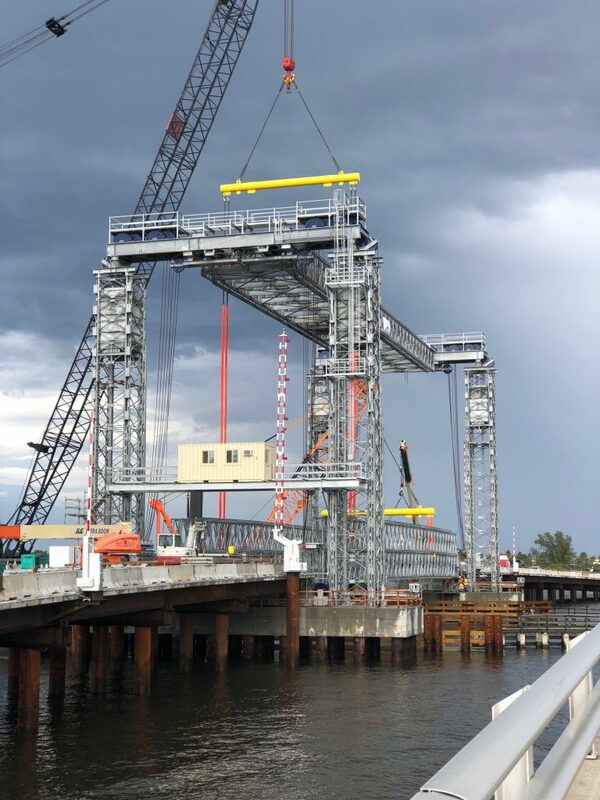 The lift span purchased from Acrow is 51.8 meters (170 feet) long with a roadway width of 9.2 meters (30 feet) and a 5 foot wide cantilevered footwalk. It uses four 75 foot (22.9 meters)towers and a 175 foot (53.3 meters) gantry system located on top of the towers. The structure is designed for an AASHTO HL-93 loading. It was particularly important when planning the detour that the temporary structure has superior structural strength, reliability, and durability as the bridge is required to be lifted every 30 minutes for vessel passage.